Volvo Trucks announced it would commercialize all-electric trucks in North America in 2020 after introducing them in California next year, a move made in conjunction with a partnership that includes Volvo Group, California’s South Coast Air Quality Management District and industry leaders in transportation and electrical charging infrastructure. Volvo Trucks will deploy eight multiconfiguration battery Class 8 electric demonstration units with a gross vehicle weight of more than 30,000 pounds, and an additional 15 pre-commercial and commercial units, throughout California’s South Coast Air Basin. 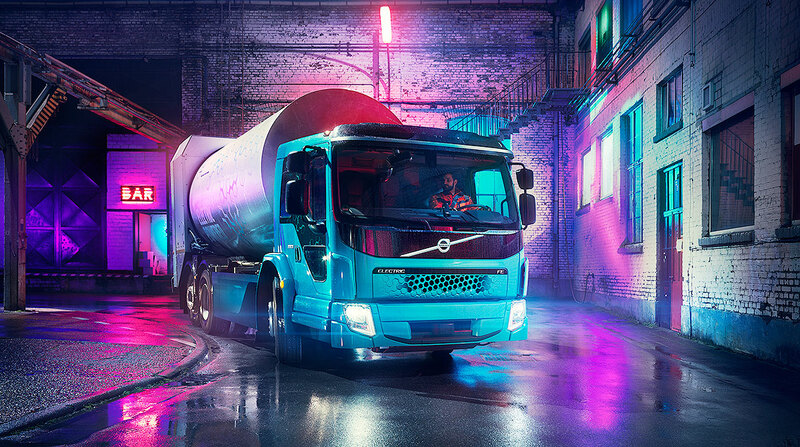 The demonstration units will be based on the technology being used in the Volvo FE Electric, which Volvo Trucks presented in May and will begin selling in Europe next year. The FE Electric was designed for heavier city distribution and refuse transport operations. “This is yet another important step towards our vision zero emissions. We are convinced that electrified truck transport will be a key driver of sustainable transports, and we’re proud to contribute the Volvo Group’s expertise to this innovative public-private partnership,” Volvo Trucks President Claes Nilsson said in a statement. The California Air Resources Board has preliminarily awarded $44.8 million to South Coast AQMD for the Volvo LIGHTS (Low Impact Green Heavy Transport Solutions) project, which will involve 16 partners. It also will transform freight operations at the facilities of two of the United States’ top trucking fleets, Dependable Highway Express and NFI, Volvo Trucks North America spokesman John Mies told Transport Topics. Dependable Highway Express is a unit of Los Angeles-based Dependable Supply Chain Services. NFI is based in Cherry Hill, N.J., and ranks No. 17 on the Transport Topics Top 100 list of the largest for-hire carriers in North America. A variety of smart technologies will be used, including remote diagnostics, geofencing and the company’s web-based service management platform, to monitor all truck performance aspects of the project and maximize vehicle uptime, according to the Gothenburg, Sweden-based company. Volvo’s initiative will occur against the backdrop of California’s goal of increasing the supply of zero-emission vehicles and charging and refueling stations in the state to get to 250,000 electric-vehicle charging stations and 200 hydrogen fueling stations and 5 million zero-emissions vehicles in California by 2030. VTNA is based in Greensboro, N.C. The project also will integrate nontruck battery-electric equipment, nonproprietary chargers and solar energy production equipment. It will reduce an estimated 3.57 tons of criteria pollutants, defined air pollutants and 3,020 tons of greenhouse gases annually.